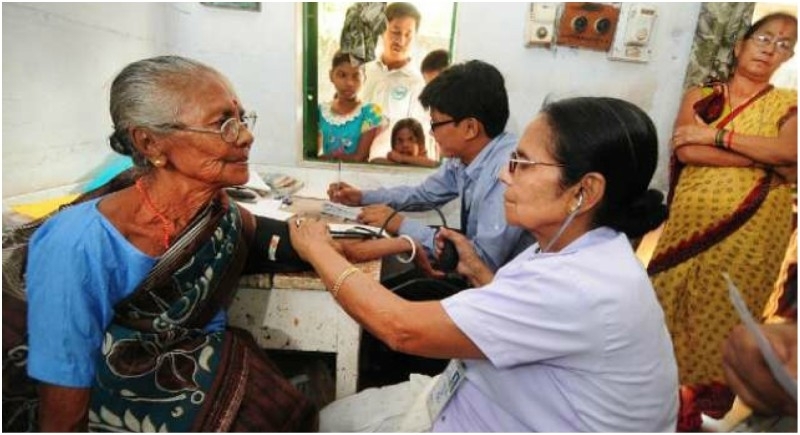 New Delhi, June 15: With an aim to benefit 10 crores (50 crore people) families of the nation, 20 states have signed a Memorandum of Understanding (MoU) for implementing Ayushman Bharat – National Health Protection Mission (AB-NHPM). It will be cashless and paperless access to services upto Rs. 5 lakhs per year will be available for the beneficiary families at the point of service in both public and private empanelled hospitals across India. J P Nadda, Union Minister of Health and Family Welfare exchanged the MoU with the State Health Ministers of 20 States marking their commitment towards the launch of the Ayushman Bharat – National Health Protection Mission (AB-NHPM) at a Health Ministers conclave, on Thursday. Expressing gratitude to the Prime Minister, J P Nadda stated that we are very thankful to the Prime Minister for giving us this huge opportunity to serve people. He further said that the initiative will change the landscape of healthcare in the country and we would be remembered forever for our work. “We shall work together, learn together, so that we work with the spirit of cooperative federalism, to perfect this largest health assurance scheme of the world,” Nadda said. He further said that the beneficiaries under the scheme can avail services anywhere in India and it is expected to bring a visible relief to the target families by mitigating the financial risk arising out of catastrophic health episodes. CEO AB-NHPM, Indu Bhushan gave a detailed presentation and updated the status of the implementation. He urged the States to seek approval and release RFP for insurance company hiring (in case of insurance mode) or Implementation support agency (ISA) in case of trust mode implementation. 20 states have so far signed MoU and it’s likely to be 25 States by the end of this month. During the conclave, model tender documents, final operational guidelines for AB-NHPM were released which are focused on beneficiary centric delivery of services while ensuring there is no compromise on the quality of healthcare services and preventing frauds. The participants were appreciative of the inclusive approach taken by National Health Agency during consultations and workshops. Ashwini Kumar Choubey and Anupriya Patel, MoS for Health and Family Welfare, Amitabh Kant, CEO NITI Aayog, Dr. Vinod Paul, Member Health, NITI Aayog, and Preeti Sudan, Secretary (Health) were also were also present at the function.